Adjustable bed frame features... What are my options? At Mattress Folks, adjustable bed packages are our number one seller. When we say adjustable bed package that would include both the adjustable bed frames and the mattress. However we do sell a lot of adjustable bases individually as well. With that said, shopping for an adjustable bed can be a little overwhelming at times, especially if you visit any big box stores with aggressive salespeople. 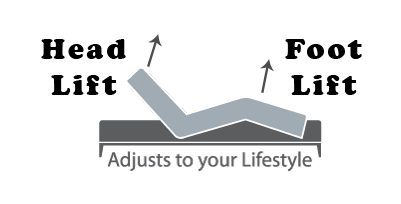 Buying an adjustable bed package is a serious commitment to your sleep health; and making that purchase marks the beginning of a long-term relationship between you and your new bed. Taking time to do your research and to understand what features might be most beneficial to you is a priceless exercise! A Quick Note About Us: We don't stock adjustable beds that do not AT LEAST the two core functions of Head and Foot Lift! Of course with have tons of additional Premium features in stock as well... Let us know your needs & we'll try to help you find the right fit for your situation AND your budget! We don't believe in aggressive sales tactics. Purchasing an adjustable bed frame is an experience that should be catered to each customer's individual needs and preferences. Our customers are our greatest assets! We've Got Your Back! The Sleep Industry has been moving away from Bedding with wired remotes in favor of today's wireless technology. 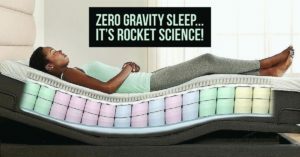 However, we do typically keep some wired adjustable beds in stock! 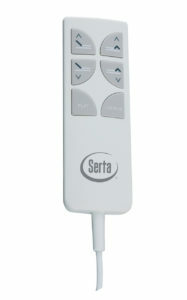 Adjustable bases with wired remotes include models like the Serta Motion Essentials II. Want to Learn More about the Motion Essentials II? Follow the link Below! Preprogrammed Position Presets may vary from manufacturer to manufacturer and from model to model. However, there are a few basic position presets which are fairly common on Premium Adjustable Bases across most manufacturers. By far the Zero Gravity position preset is the most popular, and the most asked for by name. Zero Gravity ( also referred to as "Zero G" ) lifts your head and your legs just enough to relieve some of the pressure from your lower spine. Zero G is based on a NASA Astronaut position! The Lounge position preset is very similar to the Zero Gravity position with more elevation of the head an a lower foot position. Lounge position helps you relax in a more upright position, similar to relaxing in a lounge chair as you might see poolside. Some remote controls even come equipped with a Television position preset. The TV position raises your head and torso into an even more elevated position than the Zero G and Lounge positions, and brings your feet into a lower, less extreme position. No, we're not joking! Some adjustable beds actually do come with an Anti-Snore button on the remote. This position raises your head slightly... just enough to open up your airways, improve airflow, and to soothe acid reflux and congestion. On some of the premium adjustable bases, you can store your own positions into the bed's memory using the remote control. 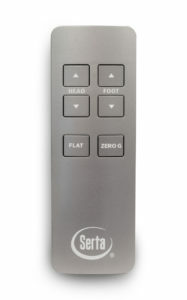 Typically this type of remote will have a set of buttons numbered 1 to 3 or 4 where your custom presets will be stored for quick one-touch recall. Massage is another feature which may vary from manufacturer to manufacturer and from model to model. If your adjustable bed frame has the massage feature, your remote likely includes controls for Variable Massage Intensity. 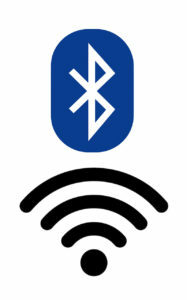 This means you have the ability to change the speed/frequency of the massage motor vibrations. Addition premium functions of the massage features might include various wave modes where the massagers might initialize and then fade rhythmically or in sequence from head to foot, massaging a person in a "wave-like" fashion.